I’ve designed and led corporate workshops on skills like building team unity and creativity, storytelling structure, and presentation. They’re based on techniques from improvisation: presence, listening, building on each other’s ideas, spontaneity, authenticity. Subject matter has ranged from giving speeches at conferences to conflict resolution and coping with change. All in the interest of making organizations perform more effectively and achieve their strategic goals. And as a performer myself, I’ve done improv at the Edinburgh Fringe Festival, sketch comedy alongside future SNL cast members, standup comedy at the Hollywood Improv and Bullwhacker’s Saloon in Montana, solo performance at Comedy Central Stage and SXSW, and more. I’m the writer-performer of this one-man show satirizing the self-help industry, where faux motivational speaker "Steve Seabrook" imparts such wisdom as embracing procrastination while it lasts, living vicariously through yourself, and how UX professionals can find the path to sUXcess. The show had a six-month run in San Francisco, and “Steve” has addressed corporate audiences and spoken at such events as Comedy Central Stage, SF Sketchfest, and SXSW. "Filled with laughs! Bodden is pitch-perfect." - San Francisco Examiner. "Razor-sharp insights.... A great show." - Fresno Bee. For more information, see SteveSeabrook.com. I’ve led workshops in team-building, presentation skills, and creativity for such clients as Searle/Pfizer, Charles Schwab, American Century Investments, Project Open Hand, and the Academy of Art University. 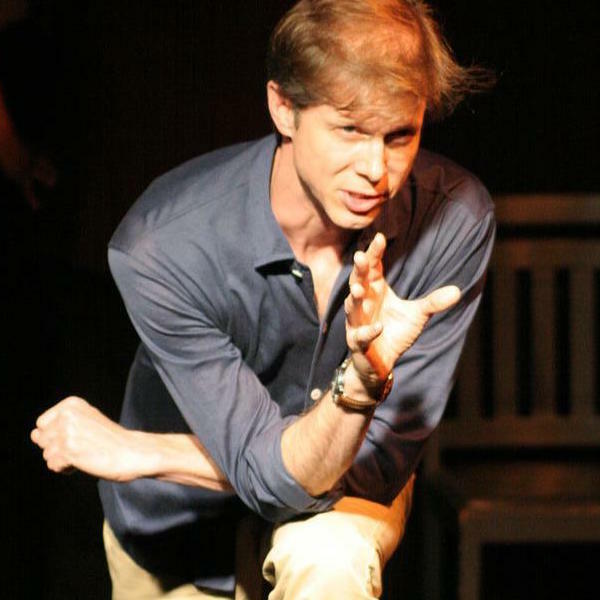 I’ve taught improv for performers and non-performers internationally. I’ve told my own stories in the Bay Area and Los Angeles, at series like Porchlight, The Marsh, Sit 'n Spin, Spark, Tasty Words, and The Moth's first-ever show in S.F. I hosted my own talk show at the historic Purple Onion nightclub, with interviews, comedy, house band, and cocktails. I’ve been the MC, judge, or competitor at shows like Literary Death Match, Pecha-Kucha, and the Bay Area Pun-Off. And done standup comedy from The Improv in Hollywood to the Ramada Inn in Butte, Montana. I’m a former Company member at BATS Improv, did the training program at The Groundlings, trained with Keith Johnstone, and performed at the Edinburgh Fringe Festival. I created An Awkward Sensation (pictured) after two years of conservatory in physical comedy, mime, mask work, and clowning at Flying Actor Studio. Plus I’ve done a lot of contact improv and handstands.